When I left the Circuit Paul Ricard, near Marseilles, after winning the 4 hours of Le Castellet race, I was reflecting on a near-perfect season. Victory in the penultimate race of the European Le Mans Series meant our first title was all but won – going into the season’s final race on October 18th we would be 18 points clear of our nearest rivals, a virtually unassailable lead. Two hours after the race I was driving home when I got a text from our team manager, saying the stewards were giving us a penalty. 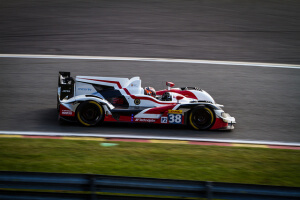 In the LMP2 championship, three of us share the driving; because of an electronic glitch one of our drivers, Filipe Albuquerque, had inadvertently exceeded his 90-minute slot by 117 seconds. We rely on simple spreadsheet software, which we’ve been using for two years; it said Filipe had driven for 87 minutes but the official timing showed it as 91 minutes. It was a simple mistake. In hindsight, of course, you can ask all sorts of questions – for instance, why don’t you use a stopwatch as back-up? – but you get used to doing things a certain way and we’ve never had a problem before. We had won the race by 30 seconds and there were no complaints from the other teams. There’s no set penalty if a driver exceeds the allotted stint so it was up to the stewards to decide. They made it 45 seconds. Had they made it anything less than 30 seconds we still would have won. Instead, we went from having won the race to coming third. Our 18-point lead in the championship was cut to just one point, ahead of our nearest rivals, Greaves Motorsport. I understand why the penalty was given, but it was out of proportion to what we had gained. In fact, we actually lost out from having Filipe out there longer than his allotted time. He was on very old tyres and lapping at 1.54 whereas Harry was lapping at 1.50 on new tyres. So the extra lap Filipe did actually cost us four seconds. 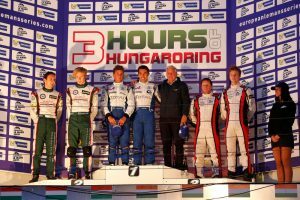 The really annoying thing is it was so comfortable for Harry Tincknell, who was driving the final slot in the race. He was coasting home for the last 10 laps. He could have gone a lot quicker if we’d known he needed to. In sport, you play by the rules however ridiculous you think they are. But in my mind, we won. We won on TV, we won on the podium – we enjoyed winning, it was a really good race, everything was spot-on. In my mind we’d already won the title, now we have to win it again. We’ve had the best team and the best drivers this season. It’s particularly satisfying because the chassis on our Gibson-Nissan is so old – it shows how well the team has run the car. I started the race at Paul Ricard, which is the first time I’ve done it in 6 years. It gave us more flexibility as a team. If the safety car comes out it normally comes out early so it can be a disadvantage to have your “platinum” driver out first as the whole field has to slow down. It’s the first time I have felt confident enough to want to do it. I have been completely focused this season, with no distractions, whereas last season I was in the middle of selling my business. You try not to let anything interfere with your concentration, but when you’re driving you have to be concentrating 100% all the time. Even the slightest loss of focus costs you a tenth of a second and if that’s happening every lap it can be the margin between victory and defeat. This has been our best year as a team and next season we’ll be contesting the FIA World Series as well as the European Le Mans Series. The competition will give us a global reach, with races in China, Bahrain and Japan, as well as in Europe. That’s attractive to sponsors, but you need a bigger budget, it’s double the cost of competing in the European series. For now, however, our focus is on the final race of the season at Estoril in Portugal. It’s a nice track, it suits our car. It’s also Filipe’s home track so there’ll be plenty of home supporters there. Let’s hope they cheer us to victory.